Whether you are working on a large building site, or a landscaping project at home, Laois Hire concreting and preparation tools are essential to get the job done. Preparation is the key, with rollers, rammers and vibrating plates providing the perfect surface to work on. Mixing concrete is next, with our tried and tested tip up concrete mixers and specialist mortar mixers available. 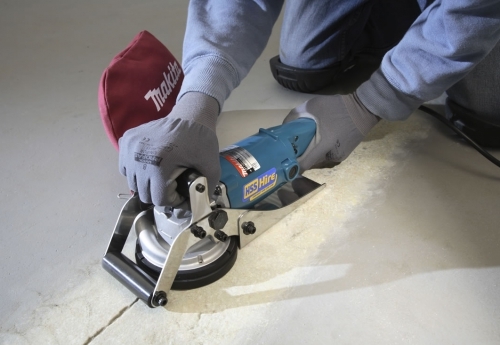 A range of screeds, poker heads, scabblers, scalers, and planers complete this comprehensive range. Effective surface preparation is crucial in a variety of work tasks, which is why Laois Hire offer a comprehensive range of tools and equipment to suit your needs. Whether it is a surface and floor grinder, tile or floor stripper remover or air needle gun you require, Laois Hire will endeavour to stock the tools you need to finish the job. For a quality mix every time, try the concrete mixing equipment range from Laois Hire. Whether you need a heavy duty tip up concrete mixer, forced action mixer or a simple paddle mixer, the Laois Hire concrete mixers will be sure to match your requirements. The Laois Hire concreting range offers a full range of concrete related equipment solutions for even the most demanding work requirements. 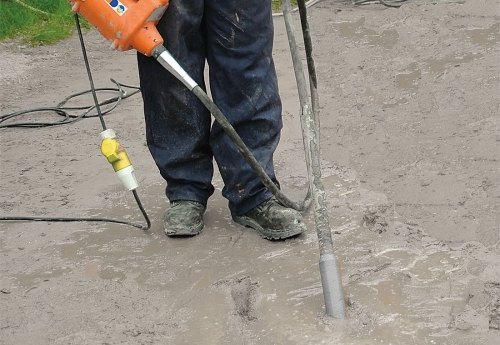 To ensure an even compaction of wet concrete, try our electric and air powered pokers. For helping with concrete levelling, our power trowel and beam screeds will ensure a quality finish every time.